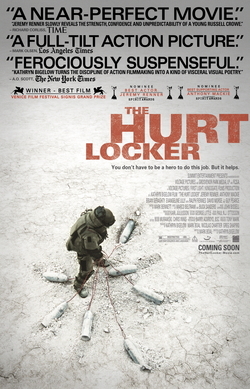 Tonight we saw The Hurt Locker at LSC. War movies are not my favorite genre, and I was afraid to watch some parts of it. There were more than a handful of intense scenes that required me to shield my eyes. I thought the actor and drama was really riveting, the character development of the main character was fascinating. It is clear that sometimes, people get addicted to doing something they feel is important and they get a high from it. However, once you have a social responsibility, it seems like it can't end well if you give up your passion for a stable life. It was definitely an interesting movie, and shows that there are a lot of tough choices to be made for people who are exceptionally talented. Star Trek ***** yay, spock! yay kirk! yay space! yay big worm holes and time travel. Live long and Prosper. Angels and Demons **** it was a trace buster buster plot, involving some very strange methods of execution. Who knew selecting a new pope would wreak such havoc! Also the first time I've seen immolation. Wanted **** campy and fun, angelina jolie plays a great assassin. Morgan Freedman is terrific in his advisor, infallible role. This was also a trace buster buster plot. Starship Troopers **** Always fun, but I always forget how gory this movie is. I hear the book is much better. THe Big Hit ***** Trace Buster Buster says it all! Up! ***** its a great story, makes you realize that true love is having that person around you day to day, and celebrating that other person. "Every day is a honeymoon!" Sherlock Holmes (The Blue Carbuncle) *** such sporting gentlemen, hard not to like the intrigue and the plot twists. Watson's repartees could be a bit more clever and witty, as I always enjoy British banter. The acting was quite affected and ridiculous at times, but all in all, good fun. The Last Boy Scout ***** funny, had to wait until the minors were asleep before we saw this one, but very funny. Bruce Willis does crazy cop really well. Wall-E ***** Pixar hits the spot with this Intergalactic Planetary plot! We saw a lot of movies recently. here are some of them from good to horrible. Live Free or Die Hard. 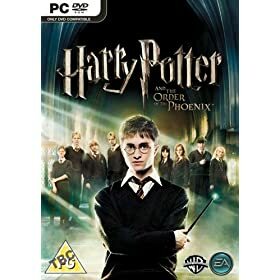 So good that I would watch it again. Funny and great. Blood Diamond was tops. Leonardo DiCaprio was a good bad guy, and the plot twists were good. Good character development, you really sympathize for the native guy and his family. I liked the way DiCaprio says "hey bruv". The interplay between people was good. The end could have been more disney, but it was good the way it was. 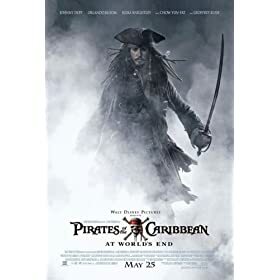 I think the plot would have been better if there was less violence, but it wasn't bad compared to the grisly hooks in The last king of scotland. Iron man was enjoyable, although the girl in the movie was too dumb a character for my liking. the plot was good, and the fight scenes were alright. It is nice to see the sweat of engineering being done in a movie.I was cheezed by the cameo of Samuel Jackson at the end. It was lame, and had no point. Actually some of the bits were supposed to be funny in the movie I thought was too dry, and the character development was pretty shallow. I am Legend was disappointing. I had heard a lot of good things about it. but the plot was sappy, kind of illogical. I don't see the motivation of the Will Smith character at the end being rational. I also think the hunting scenes were dumb, because if the doctor was THAT smart, he would have gone up high and sniped, not chase deer in a thunderbird. The acting was mediocre. "I was saving that bacon" whatever. Smith always looks like the same character, Fresh Prince (laugh but don't laugh). Vampires were done with a lot of c.g., but I didn't think they were scary at all-- maybe just weird and kind of uncanny. Mimic was definitely a b-horror flick. There was an autistic boy in this, which made for an interesting plot twist. The scary-dark was scary and good, but the bugs were silly and gooey. The science is doubtful. Born To Fight was horrible. Much worse than Ong Bak. The plot was unbelievably pointless, the acting was horrible, and the fighting was too ridiculous to believe. I was going "wtf" when there's a very long and uninteresting advert of Thailand right in the middle, and then bloodthirsty disgusting hateful things happening. Maybe this movie was not for non-Thais...? I wanted to pukem this movie was soooo bad. It was excruciating. The revised version of Hairspray is awesome. John Travolta's acting was superb, and so was Christopher Walken. The songs were terrific, and the slapstick humor had me rolling. On the other hand, American Gangster was very bloody and violent. Not for your faint of heart or sensitive person. In fashion class, we saw Qui êtes-vous, Polly Maggoo?, a movie about Twiggy-ish model in Paris. It was a little surreal, with the musical choruses, and the bizarre fashion. But I think the movie is meant to capture the essence of that era,the 60s, where everything foreign, political, rural, fashionable was in. 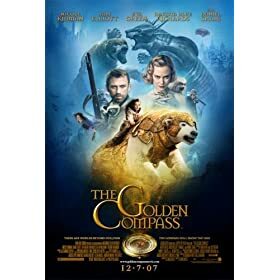 The movie was interesting and although I don't think I really *got* the movie's whole message, it was visually stunning, even for such an old movie. I got confused about how Polly ends up, but it doesn't really matter. Its clear she is her own woman and she's not just a facade that the antagonist (filmmaker) wants her to be. I enjoyed it, if only because it was so different from anything I've seen before. 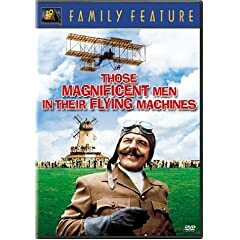 Those Magnificent Men and Their Flying Machines. The Italian count was AWESOME!!! He does everything with relish, and also I thought the heroic acts were quite interesting. The plot was full of humor and suspense, and the love story was nice too. *ah* Engineers! The thrill of the international competition, the fierce rivalry between nations, the charm of the different cultures. Brilliant! Pan's Labyrinth was dark, but good. I really liked the imagery of the nightmare scenes, and the folklore of the mandrake root. It was interesting because these details were imaginative and detailed, in a way that I felt was very believable. The creature-monster was unbelievably nightmarish, and I am still wondering if the faun was good or bad. what was he eating? The ending scene with the villagers reminds me of Jim's game, Resident evil 4, "muerte muerte muerte". The Prestige at LSC. It was great, worth seeing. It was exciting. I really enjoyed the plot, and I don't want to spoil it, but the plot twists are great. I wonder how it compares to The Illusionist. 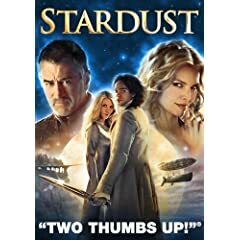 Apparently, the 2nd time is even better, so I might have to catch it on DVD. The suspense was good, and Tesla was a terrific character for us nerds! Also recently saw the end of Love Actually again. The brits make great movies, Guy 101 which won the BAFTA for Short Animation this year.